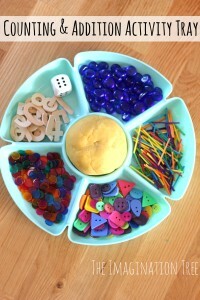 Make some scented birthday cake play dough and use it to create a fun filled counting game for preschoolers to enjoy! You will know by now that we are humongous fans of play dough and creating our own new recipes by adding all sorts of wonderful ingredients! You can find a whole A-Z of Play Dough Recipes here to kickstart your inspiration and many more that have since been added in our Play Dough Recipe Archives. 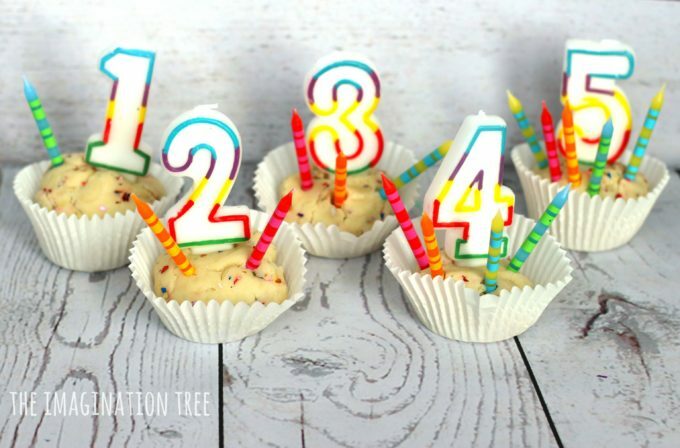 The most popular play dough activity that we have come back to time and time again is making birthday cakes for pretend play birthday parties. 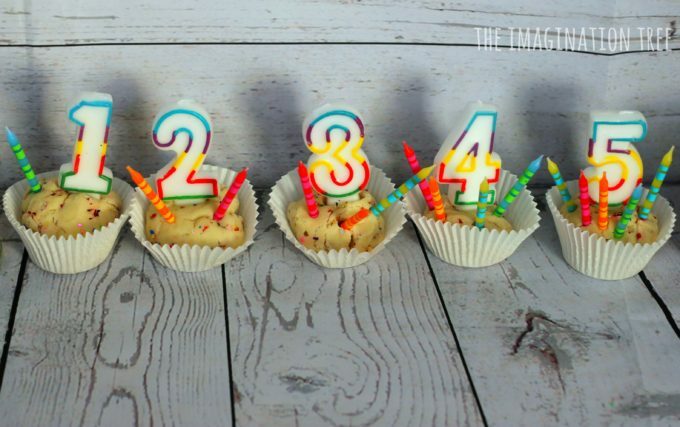 The kids adore rolling balls to make the cakes, placing them into cupcake cases, decorating them with jewels and sticking candles into them. It is always accompanied by plenty of singing and birthday party pretend play which is so much fun to watch! 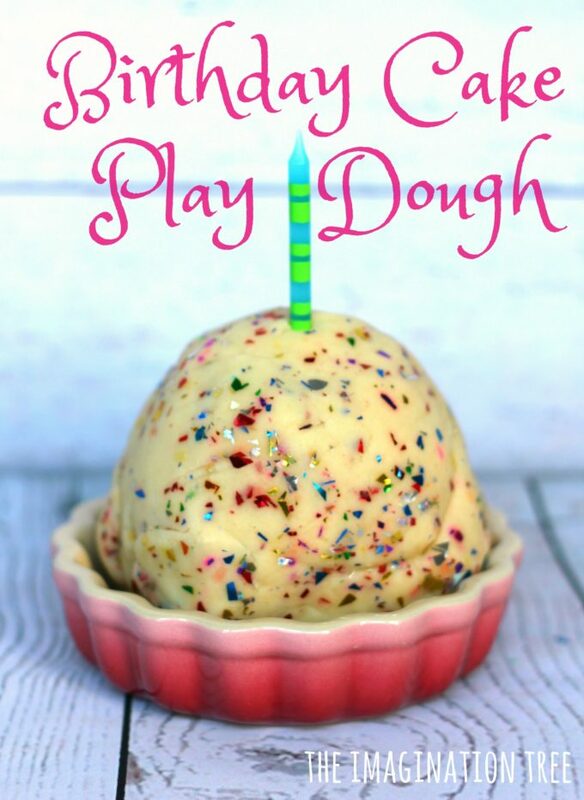 Recently we decided to make another batch of our famous 4 minute no-cook play dough recipe and this time added a lot of declines vanilla essence to make it smell just like birthday cake! We left it naturally coloured and didn’t add any food colouring or paint this time. 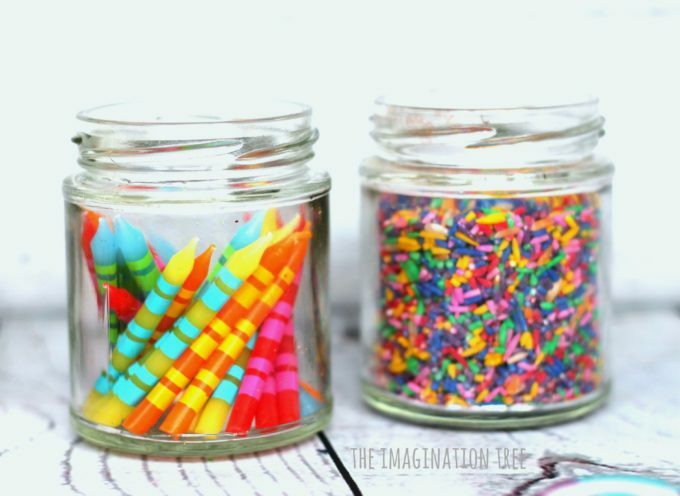 Once it was cooled we then rolled it in confetti glitter to make it look like it was full of sparkly sprinkles! 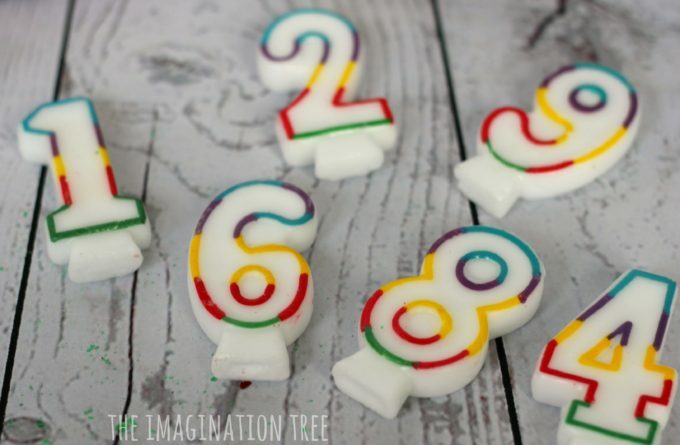 Then, to add a further element to the play we set out some number candles (these were from the supermarket) along with plenty of plain candles, rainbow rice for making pretend sprinkles and some cupcakes cases. They loved making and pretend baking all of their cakes and kept sniffing it to take in that lovely birthday cake smell! 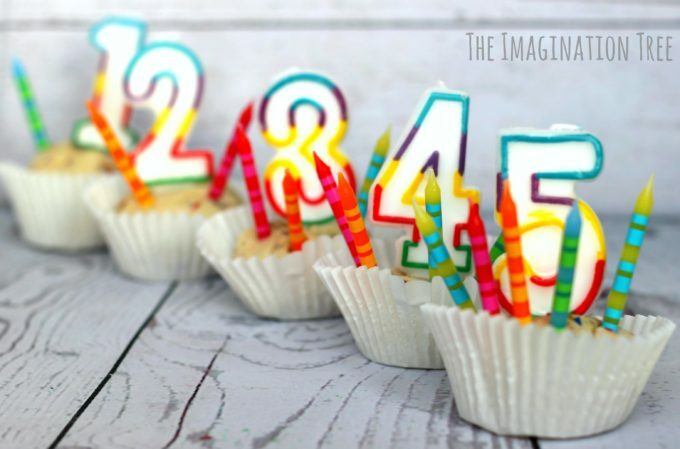 Once they had separated all of the balls into the cup cakes cases, they set about adding the numeral candles one by one. They then came back to each one to add in the corresponding amount of candles, carefully counting them out suing 1:1 correspondence. 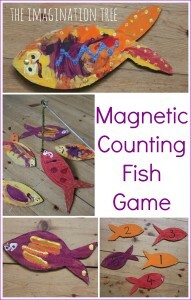 Miss 4 was particularly keen on this and it was a great way to practise some early maths skills such as numeral recognition up to 9 and matching the correct number of objects to each one. 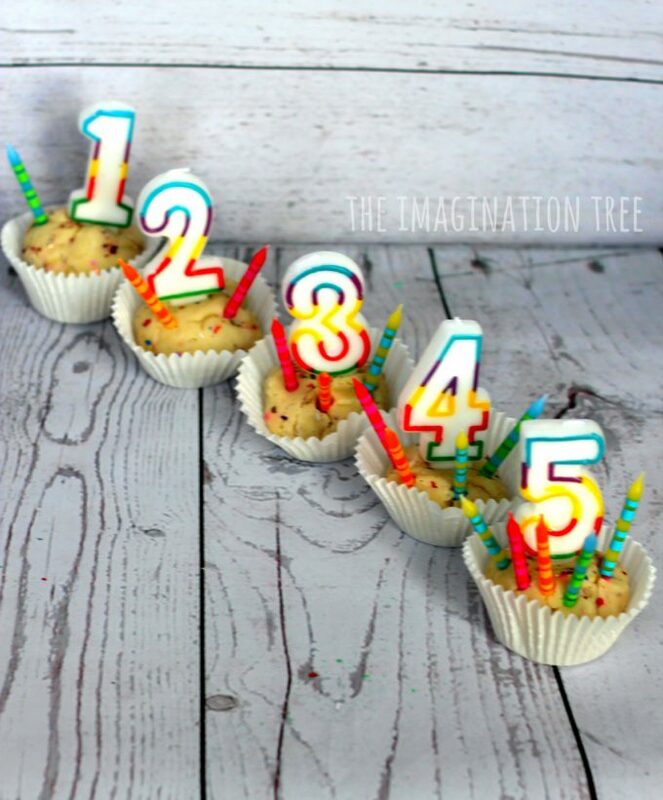 Counting out the candles one by one naturally encourages 1:1 correspondence, as each movement and action of putting one into the dough is a concrete counting moment. It’s good to encourage kids to go back and check they are right after they have said the total amount, by either moving or touching each item. 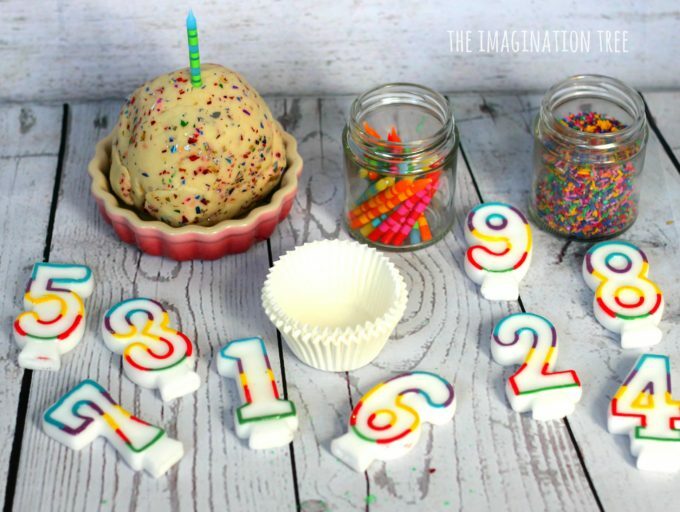 You can extend this play to even help out with division and multiplication if you use enough play dough and extra cup cake cases! 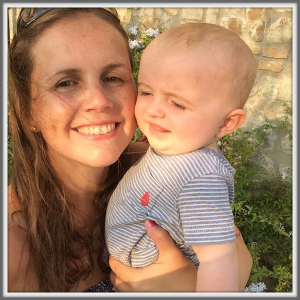 Learning doesn’t have to become boring or paper-based once they hit Key Stage 1! 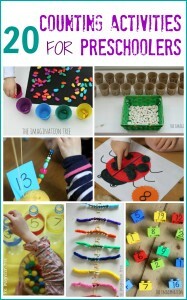 If you enjoyed this activity idea please do share it! Thank you! You can browse our full PLAYFUL MATHS archives here for loads of other ideas. 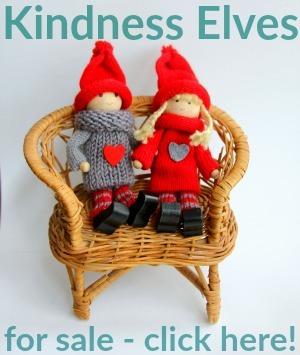 « The Kindness Elves Accessories Kit!